Have your shout ... & click SHOUT! Hey mate! THX for linking our page. THX for your Cooperation in 2019 :) Cu in the jungle, Mate! Mac Hope ur connection with Ching Chong will lead to a nice Australian ctf fight with lots of ppl. I am doing very well. Still rocking the games. You? I'm pretty good thanks dude. How are you doing? Hi Martyr, how are you? Happy New Year and welcome to 2019 schlags!!! Clan of Minh's custom VC maps logged over 11000 downloads between 2004-9! Since then, they have appeared on countless VC related sites. Check out our Minh Maps page for info and download links. 2018 UPDATE: We are proud to announce that several new and updated maps are being created for this inspiring and legendary game. They will feature CTF, COOP, DM game modes as well as some new modes such as HTF - hold the flag! Rumours are out that indicate Martyr's private collection of video surveillance has been de-classified. mOm has decided to release his favorite in-game 'Vietcong' videos to YouTube ~ in conjunction with Minh TV. We've all dipped in and out of games over the years but many would agree that it was a sad day when VC became unplayable due to new systems and graphics cards. Clan of Minh are currently dormant but members are still playing games online. We are still using the shoutbox on this web site home page (to the right), so if you're interested in linking up, post in the shoutbox or visit our forum. This is totally safe & all you need is to have a PayPal account. Click the PayPal logo to donate or visit the PayPal site to learn more about this secure payment system. Although the Vietcong tactics adapted & changed throughout the 'war', their tenacity and ability to 'disappear' was a constant source of strife against US forces. 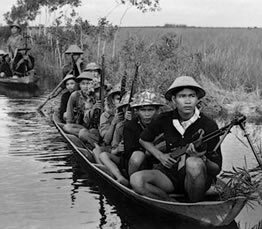 In the initial stages of the war the Vietcong didn't actually exist. They arose after the initial open battles destroyed much of the early NVA-led "Tet Offensive". The Vietcong, to them, were not called the Vietcong. This was a nickname, along with "Charlie", that the U.S. first coined. The soldiers of Minh were reluctant to give their positions away but not afraid to die for their cause. Suicide bombers (or grenaders) were not uncommon in their guerilla style fighting. 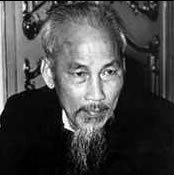 Ho Chi Minh was not only an idol but a God to some! With persistence, tenacity and ruthless resolve, the VC were able to keep one step ahead of U.S. forces.